What are HVAC maintenance plans? What are their advantages? Offices and commercial spaces are integrated with big HVAC units. A frequent break down of these can harm productivity and also incur a heavy expenditure for repair. 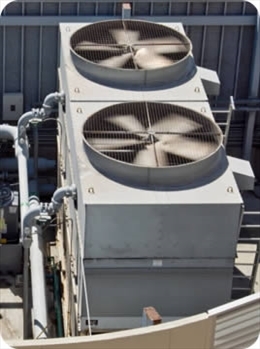 It is always better for commercialorganizations to have annual maintenance contract for heating and cooling units. These contracts are quite economical compared to reactivemaintenance of machines. But before you sign HVAC contact you should know certain things about it. Annualmaintenance contacts are known by multiple names like as HVAC maintenance contracts, service agreements, and comfort plans. Do these plans generate win-win situation for you? These contracts are not only popular among clients for being a cost effective way of maintaining HVACs, but arealso popular among dealers as theseprovide them income in slow times. In the mild months of autumns andSpring, the use of HVACs goes down, asa result the businessin the industry also slows down. They are always advantageous for owners of HVACs. They are almost 50% cheaper than reactive maintenance cost. You will have a preventivemaintenance of our system.The snags will be nipped in the bud before they come to the surface. Representatives will come and check the system from time totime.It will increase the longevity of the system and prevent it from frequent breaks-downs. It will keep the system clean and efficient and therefore saveon utility bills. Servicing your HVAC unit will ensureflow of fresh airinto the rooms due to cleaning and changingof air filters at regular intervals. This can prevent people working inside from contracting respiratory ailments. Another benefit of annual maintenance contract is that you’ll enjoy priority emergency service and scheduling on all your repairs. You will also get attractive rebates on replacement parts. What is generally included in a maintenance service? What are the types of HVAC annual maintenance contract? There are various types of HVAC maintenance plans. The basic ones include AC unit check-up and furnace check-up. The cost of basic plan will generallyinclude the service charge associated with performing the routine service. Replacement of worn parts will be counted as extra. The next level of contract usually includes routine check-up, no charge for repairing parts during routine checks, and priority service. In extreme temperature both hot and cold, the HVAC companies get a torrent of servicing calls. In such situation priority service comes as a bonus. It is sort of a guarantee that they will address your complaint the same day that you called for service. The next level of contract includes check-ups, no charge for emergency service and priority service. In such contracts you are not likely to be shocked by surprise expenses. The basic plan cost about $200 and the highest level can go up to $300 to $500 annually. Is HVAC annual maintenance contract right for you? Maintenanceplansare always good for commercial HVACs. Maintaining them with local office staffs is easier said than done. Annual contracts will have them examined at regular intervals. However, you need to look ifyour machine is within warranty. If it is still within warranty you donot have to worry about spending on replacement parts. These will be covered by the warranty. But labour charges are also hefty. If the machine is old enough and oftengeneratesrepair bills it is wise to have an annual maintenance contract for it.